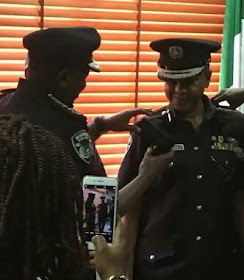 On Thursday, Ibrahim Idris, inspector-general of police (IGP), decorated Patience Ibekwe Abdallah, a senior police officer, promoted to deputy inspector-general of police (DIG). The Police Service Commission (PSC) had approved the promotion of three assistant inspectors-general of police (AIGs) to the position of DIGs. Among these officers, Abdallah is the only woman, meaning she is an inch closer to making history as Nigeria’s first female inspector-general of police. Abdallah also partnered with stakeholders and the measures reportedly yielded results and the police under her watch was able to tackle crime to a large extent. She also ordered the dismantling of checkpoints allegedly used to exploit motorists, The Cable reports. Gov. 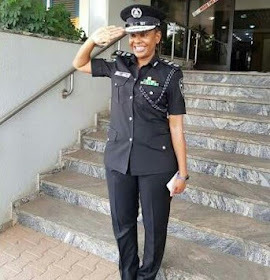 David Umahi of Ebonyi described her as a jovial police officer.